FirstCall is an unusual contemporary chair design project inspired by handsets of retro telephones. 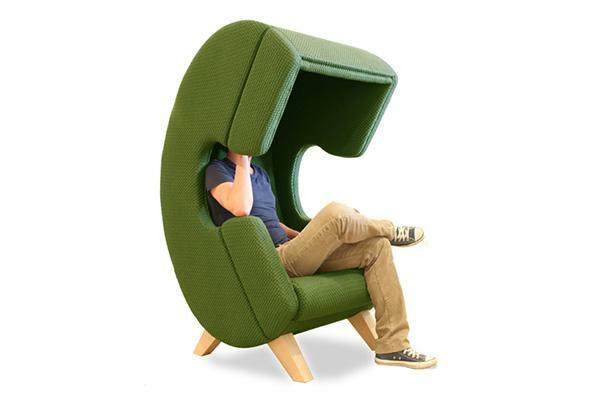 These contemporary chairs look like giant handsets and created as quiet places for telephone conversations. Lushome brings a few pictures of these bright and unique furniture pieces in various colors. Perfect for noisy places, the contemporary chairs provide some protection from loud noises and help focus on the conversation. The chair design idea is interesting and original, bright and functional. 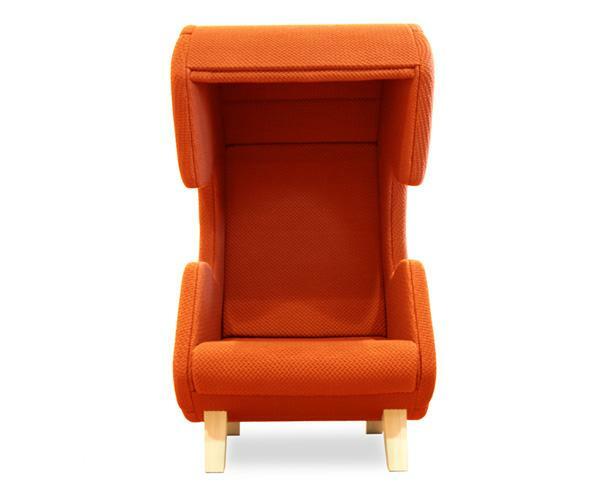 These chairs create cozy retreats for private calls. The contemporary chairs feature curvy frames that create comfortable backrests. 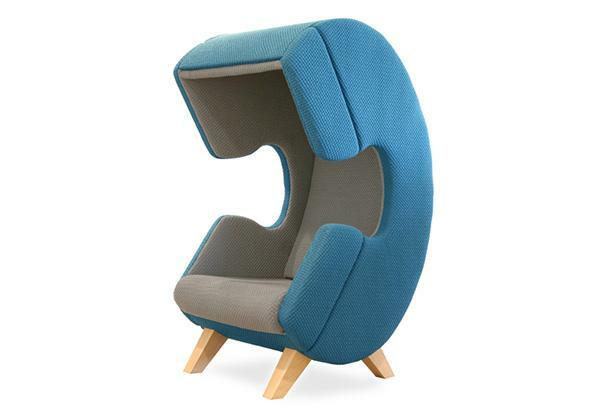 These unique furniture pieces are great for making calls, work or short rests during a busy day. This unique furniture design project is developed by Dutch designer Ruud van de Wier for EASY Noise Control company. Bright colors, soft upholstery fabrics and ergonomic frames make these unique furniture items not only functional, but very attractive. The contemporary chairs are great for offices, shopping malls and hotel lobbies, and homes. The chairs are available in 32 colors to suit any interior decorating color scheme or add striking and bright accents to existing room decor. Custom-made upholstered chairs will personalize interior decorating, bringing originality and surprising details into modern interior decorating. Their elegant shape and ability to rotate 180 degrees allow to create fabulous combinations with existing contemporary furniture pieces and create beautiful modern interior decorating.